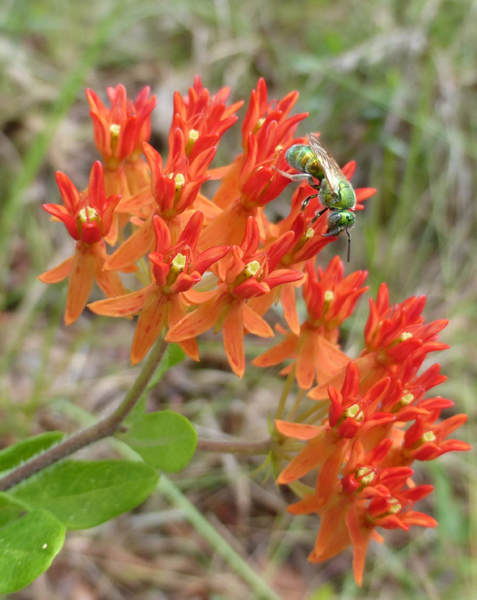 At the beginning of my ‘Natives’ life, I learned a lot from working on the plant sale plant profiles, so I thought the only milkweeds in our area were Asclepias incarnata, A. tuberosa and A. perennis. Apparently those are the ones that nurseries have grown for a while. 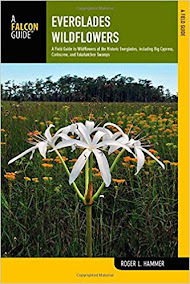 If I had known better, I might have checked out the USF Plant Atlas where I could have looked up genus Asclepias and would have seen that there are many more species in our area. 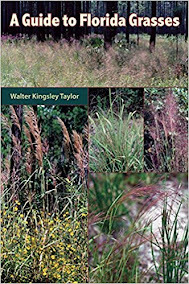 I have seen 9 milkweed species so far this year in relative proximity to our area, and I have now done the USF Plant Atlas search so I know there are more out there. 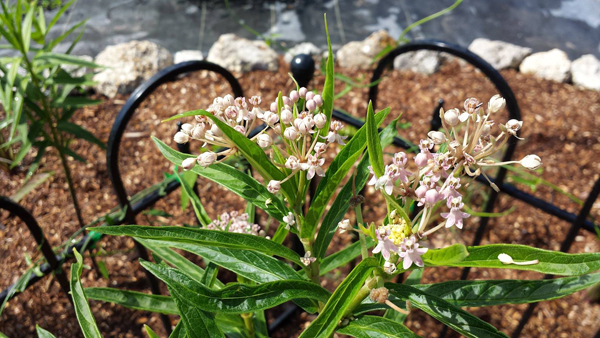 An advance search in Hillsborough County lists twelve species.Oddly enough (at least to me), two of the species I have never seen in the wild are the swamp milkweeds that we sell at our plant sale. They are at the top of my list to find. 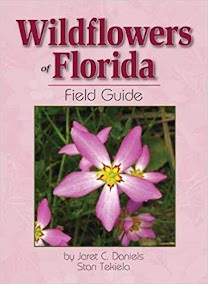 The most recent milkweeds I saw were at Lake Blue Scrub (Auburndale) in early July. There I added A. curtissii to my list and saw some reddish A. tuberosas that were gorgeous. I was thrilled to find A. lanceolata at Hillsborough River State Park recently. I had seen it before but not in our county, so it seemed like a big deal to me but of course other people were well aware that they grew there. My favorite milkweed, A. longifolia, I first saw in the Green Swamp, and I got to revisit it on our way home from Cayo Costa in April. We stopped to see a mass of bladderworts and Devon saw the milkweed. I was tired, dirty and cranky, but that milkweed made me very happy. 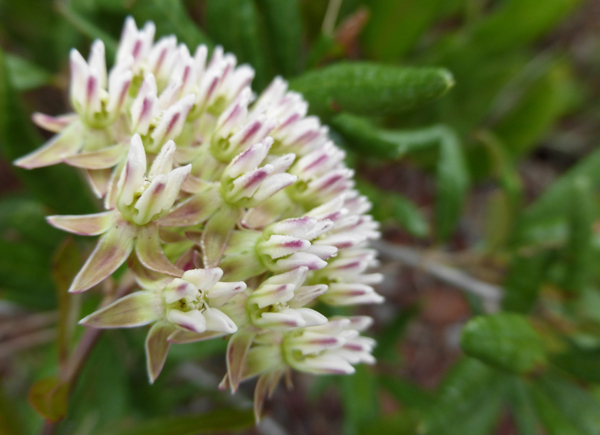 I have noticed that some of the paler milkweeds are easy to miss if you’re not looking closely. The others I have seen this year include - A. humistrata that has the gorgeous pink veined leaves, A. pedicellata , A. feayi (quite a few on our May fieldtrip to Triple Creek Preserve), A. verticillata and A. amplexicaulis (in Hernando county). Last year I saw A. tomentosa. 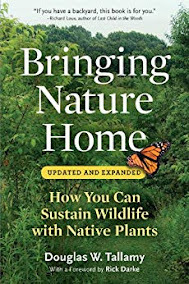 I used to feel bad when we told people to buy native milkweed and they couldn’t find any, but now they are becoming more available. 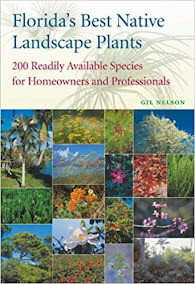 I noticed that both Green Isles and Sweetbay nurseries now have whorled milkweed on their list of plants, so now there are more kinds of milkweed for sale. 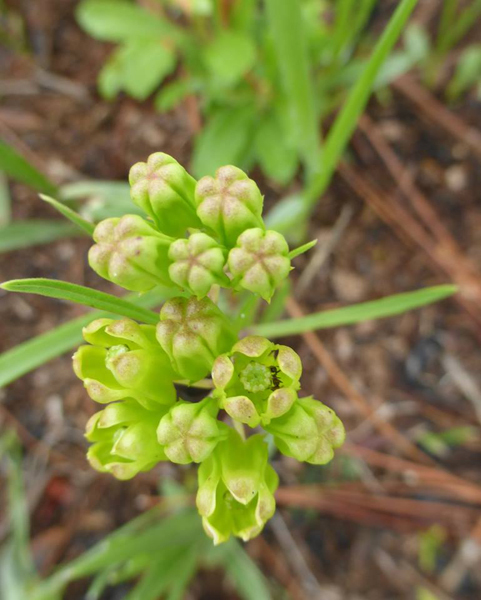 FNPS member and St Mark’s NWR ranger, Scott Davis, is executing his plan to support monarchs by sourcing local ecotypes of milkweeds for the Big Bend area. 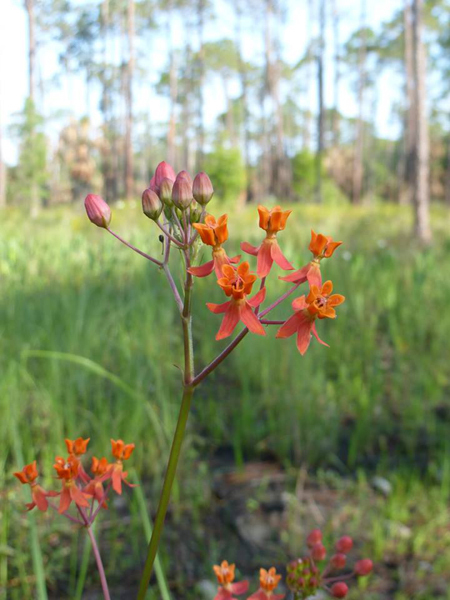 A year ago FANN (Florida Association of Native Nurseries) launched Phase I of the Florida Milkweed Project, an effort to expand the production and use of native Asclepias species with funding and support from the Florida Wildflower Foundation and our state wildflower license plate. I can tell you from personal experience that I have seen a big difference in the availability and quality of these milkweeds for sale in the past 5 years or so, and look forward to more availability. 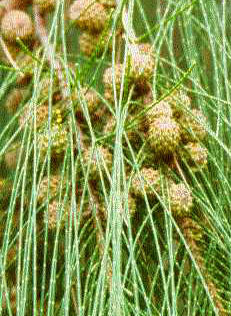 If you can’t get out to see the wild milkweeds, plant some in your yard and watch the Monarch Butterflies come to you! Thanks for this. Got a volunteer milkweed in my native garden this year and was thrilled. Many many butterflies including monarchs! Thank you for posting this. 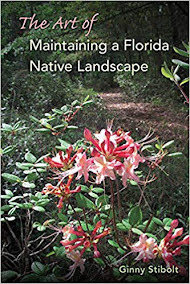 This motivates me to look for more native milkweed in my area (Leon County). I was under the assumption that milkweed is milkweed and had someone give me some for my yard... it turns out that I've been growing the non-native tropical milkweed. Good job, Janet. 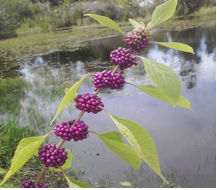 I just took a picture today of A. perennis at the joint meeting for Tampa Sierra, Tampa Audubon and Suncoast NPS while walking the boardwalk at Nature's Classroom. 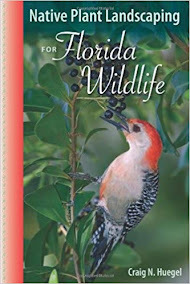 And I too recently checked the Plant Atlas for how many milkweed species are native to Florida and was pleasantly surprised to find 20 listed. I can't get enough of milkweeds! Our property is loaded with them. They are so unique and pretty.